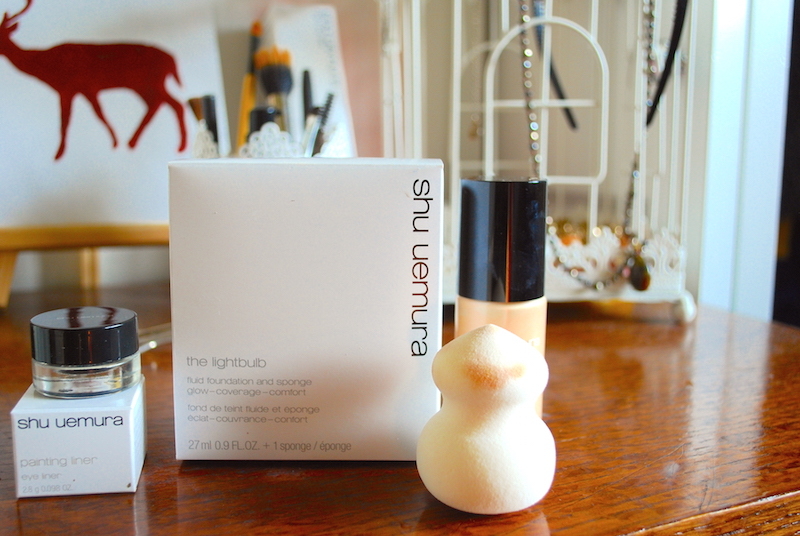 F I N A L LY. 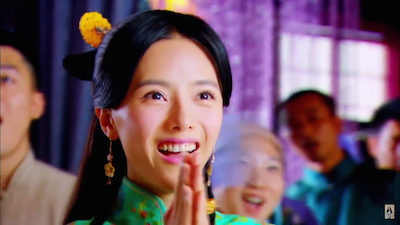 OK I think we’re finally at the point where the female lead will finally accept that Jiang Yu did not kill her father instead of going around in circles. 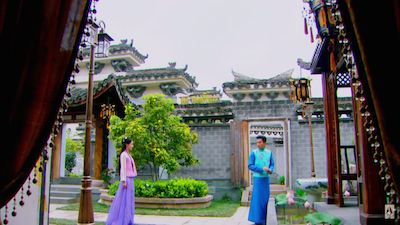 Still, Cai Hong really didn’t give a satisfactory response to being such a sh*t starter and causing all this trouble, but I’m pretty glad we’re moving on in the drama, and the next few episodes will introduce some new circumstances into the plotline. 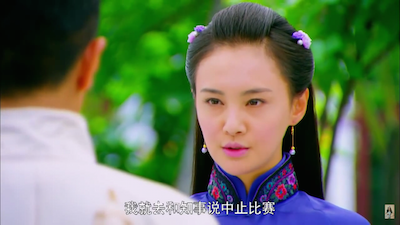 Cai Hong annoyingly goes to confront Jiang Yu and ask him to tell her that he didn’t kill her dad, offering to cancel the competition. Like, hello, he told you a million times already. 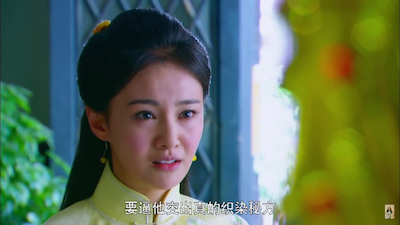 Jiang Yu rightly tells her that it’s not a game, and that she can’t come in here and start all this trouble, and thinking that she can end it whenever she wants. 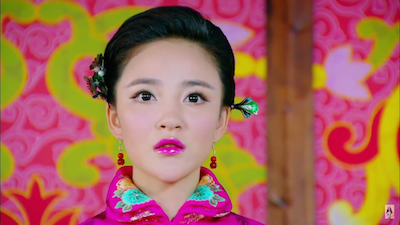 Fei Fei overhears the servants talking behind her back and looking down upon her. 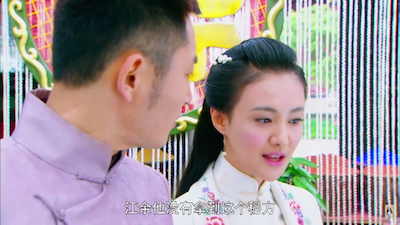 They don’t see her part of the family, but just merely an adopted child, and since Jiang Yu appears to take such a liking to Cai Hong, if they get married, Fei Fei will never be part of the family. She might even be forced to leave too. Upon hearing this Fei Fei confronts the servants, but Fei Fei is still obviously very upset from that. 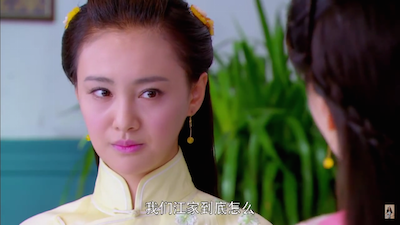 Turns out the servants were paid by Shao Tian to say such mean things to upset poor Fei Fei. 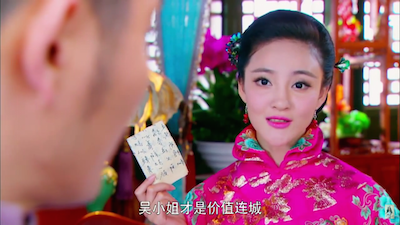 Shao Tian immediately finds the upset Fei Fei and approaches her with this really dumb proposition – for her to bring him the ‘secret’ method’. 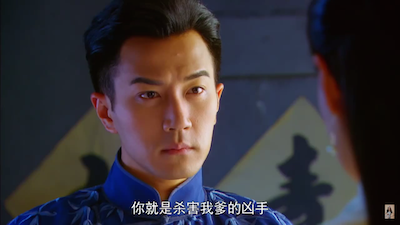 His logic is that if Jiang Yu wins, he will try to take Cai Hong again – but obviously Fei Fei doesn’t want Shao Tian to win because that will mean Ling Long will close down. 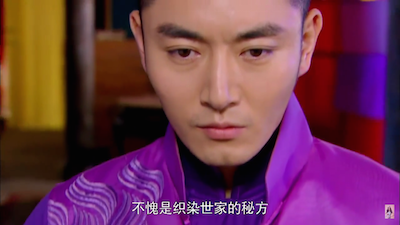 Therefore Shao Tian proposed this: since they knew Jiang Yu was going to utilize the secret method in order to win the last round, if Shao Tian utilized the secret method too, it would be a tie, and Shao Tian promised to have the companies in harmony, sell Rong Da afterwards, elope with Cai Hong and leave Hu Zhou forever. First of all, how can he guarantee that they would be tied for sure? That’s not up to him to decide! 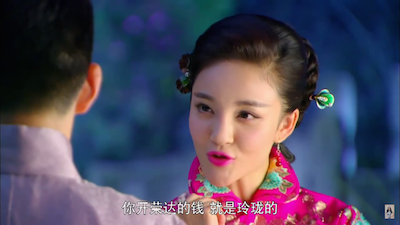 And how could Fei Fei be so naive to believe that the two companies could be in harmony and Shao Tian’s intentions were so simple – why would they have the competition in the first place?! He had to have ulterior motives. 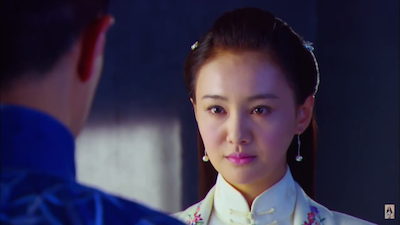 Fei Fei approaches Jiang Yu asks to see the secret method, and where it’s hidden. 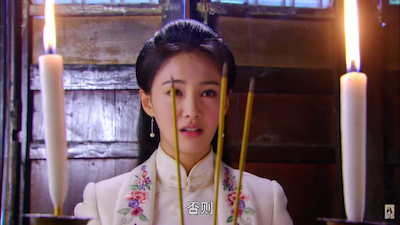 She finds the secret method and hand sit over to Shao Tian. Shao Tian gets the ‘secret method’ and refuses to let Lu Man use it until after the competition since it would be evidence. 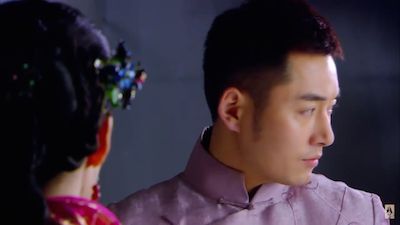 If Jiang Yu utilizes the secret method during the competition, it would be an automatic admission of guilt. 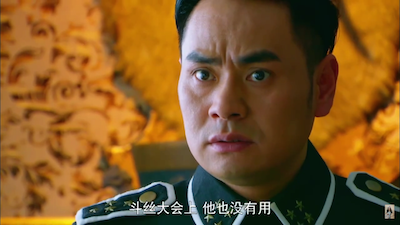 The fei police chief immediately show up and arrest Jiang Yu, under the logic that if he used the secret method, he has to have something to do with the murder of Wu Hong Da, because Wu Hong Da still had the secret method on the morning of his death. That logic is so faulty that the fei police chief really lives up to his name as fei (useless). Like first, how do you prove that he used the secret method? Couldn’t he have just dyed it with his own method but he was just that amazing that the fabric looked so good? They have no way to to prove which method he used. 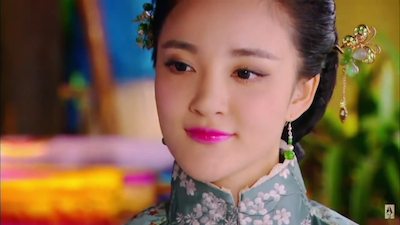 Even if Shao Tian received a secret method from Fei Fei, there was no way to prove that that was the very secret method that Wu Hong Da had. And secondly… even if he does have possession of the secret method, that doesn’t mean that he’s the murderer, or even related to the murder. 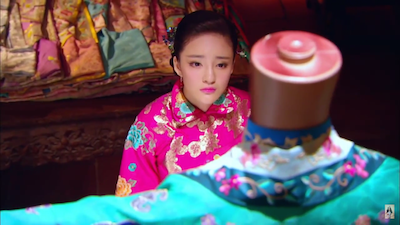 After the arrest of Jiang Yu, Lu Man goes full crazy and cries while stroking her mother’s old dress, looking to repair it with the secret method technique. She is excited to use it, and is looking to expand a ludicrous fabric business using that very method. Stupid, stupid Cai Hong go to approach Jiang Yu again, asking him if he killed her dad. 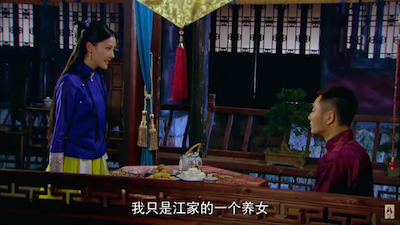 Jiang Yu has seriously told her so many times directly before that he was not the murderer, and whenever he’s given ambiguous answer, she jumps to conclusions that he is – it’s so frustrating how wishy washy and easily swayed she is. Anyways, Jiang Yu tells her that he is not the murderer because he didn’t even use the secret method – he doesn’t have the actual secret method that Wu Hong Da had – he only recalled the secret method from memory since he had to memorize it because he was the eldest son of the Jiang family. However, he didn’t get to know the last step – that was reserved for when the eldest son turned 18 years old and became an adult – and so he couldn’t complete the fabric dying process to its completion. The missing last step is how to conserve the color of the fabric. So Jiang Yu couldn’t be the murderer or related to the murder being that he doesn’t have the secret method. 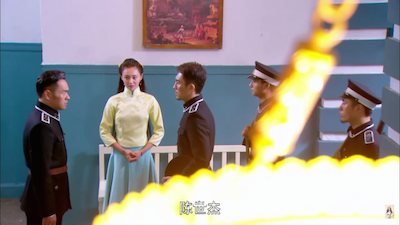 Which leaves me SO confused because he was burning an original sheet in front of his ancestors and on the day of his meeting with Wu Hong Da, he left with that very same pouch with the secret method too – so was he lying? 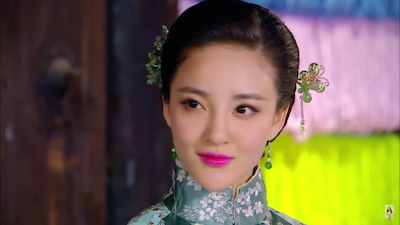 BTW I think the lip-color choices in this drama are so horrible – they are all very fuchsia-purple color and they make the actresses look so sickly or evil sometimes – I guess it’s all the rage in China right now, but it’s really a very an unflattering color for all of actresses. This is actually a better picture of it. They used such a bad blue-toned pink on her lips that made her teeth look so yellow. 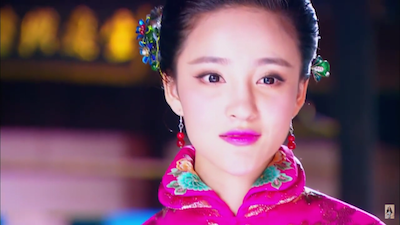 Cai Hong also uses a very purple-ly pink that makes her look like she’s been poisoned too… Really wish that the make-up artist picked some more natural colors. Meanwhile the workers of Ling Long start leaving because they’ve already lost so many contracts due to this scandal with Jiang Yu. Fei Fei tried to stop them, but all of the workers left anyway. 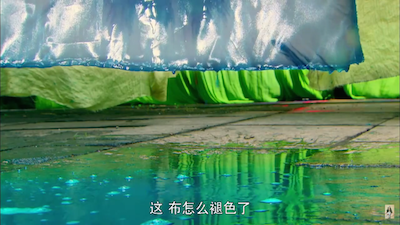 Cai Hong pours water over Jiang Yu’s fabric from the competition and true to his word – the color is not conserved and starts dripping off. 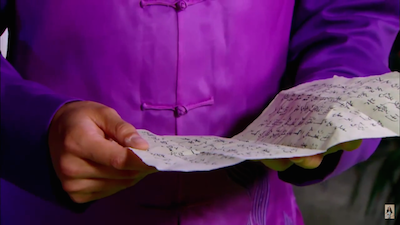 Cai Hong is elated and explains that Jiang Yu never had the secret method all along, as he didn’t use it, and this was what he recalled from memory, missing the last step which is to make the color stay on the fabric. 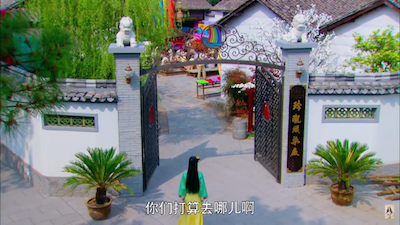 Shao Tian becomes sad that Cai Hong went to go find Jiang Yu and doesn’t believe the information on hand -this just goes to show how much Cai Hong cares about Jiang Yu. Lu Man is pissed at this revelation that they don’t have the actual method, and is convinced that Jiang Yu is hiding the secret method somewhere, and that this is a trick for Jiang Yu to get out of this mess again. So they decide to torture my dear Jiang Yu in order for him to give up the whereabouts of the secret method. 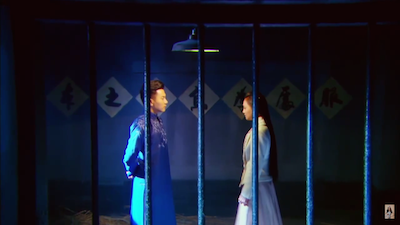 Jiang Yu doesn’t give up the secret method even though he’s half dead from being tortured – and tells the guards that he doesn’t have it and that Shao Tian and Bookkeeper Cai both had seen Wu Hong Da on the day the secret method went missing. They decide not to torture Jiang Yu anymore as they didn’t want to kill Jiang Yu during his imprisonment because Jiang Yu was a well-known person in their town, and as it’s become evident that he doesn’t have the secret method. 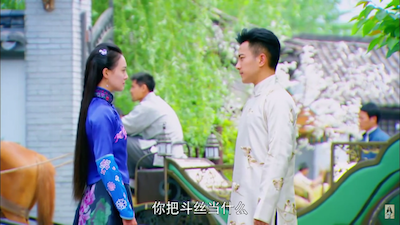 Lu Man threatens Shao Tian that if he doesn’t find her the secret method that he will tell Cai Hong that Rong Da is really Shao Tian’s company (confirming that he stole the money from Ling Long). 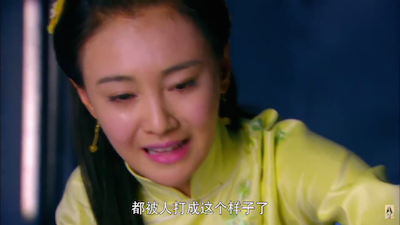 Meanwhile, the stupid stupid stupid Cai Hong realizes the mistake that she’s made, prosecuting the wrong person (even though all solid evidence pointed to NO, she still made her own stupid assumptions about the whole case and caused all this drama), and vowed to get Jiang Yu out of prison the next day. 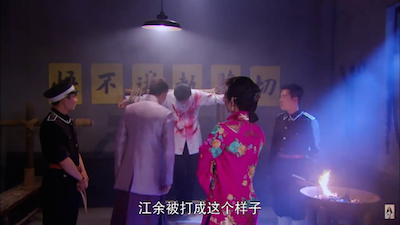 Cai Hong finds Jiang Yu half dead and beaten up, and realizes that the people that wanted the secret method had done this to him – Lu Man and Shao Tian. 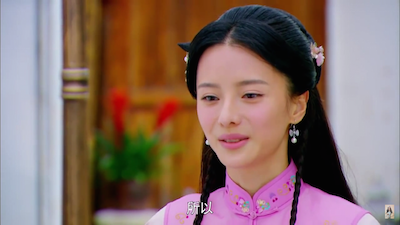 BTW Zheng Shuang’s reaction to seeing a badly injured man (her supposed crush, no less) on the ground was so bad. If was most people, they’d have a glimpse of the blood and would rush over to see what’s going on. But her, she was too busy covering her face in horror and slowly strolling over – it was such a weird reaction. 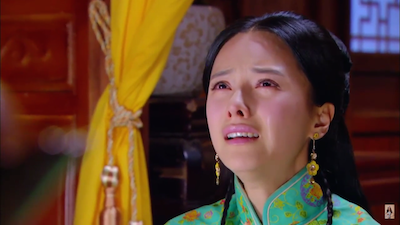 And this scene with her tears — it was really badly executed. She really can’t do these type of roles very well – she wasn’t that bad in Love Weaves Through a Millennium. 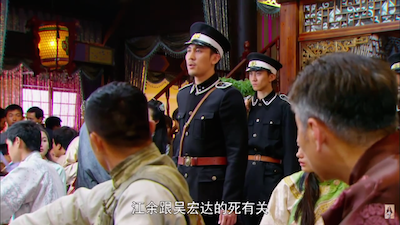 Cai Hong rushes to Sergeant Li to tell him that Jiang Yu was badly hurt and tortured. 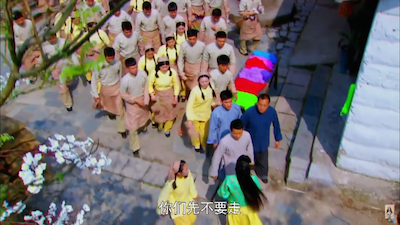 They immediately rush to send Jiang Yu to the hospital. Cai Hong and Sergeant Li wait worriedly outside of the hospital room. 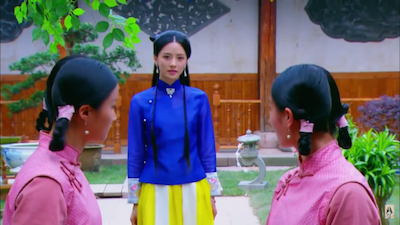 Fei Fei shows up, and she’s pissed – and she says what we’re all thinking – “What have we done to you, and why are you even here? Why do you go out of our way to hurt us?”. 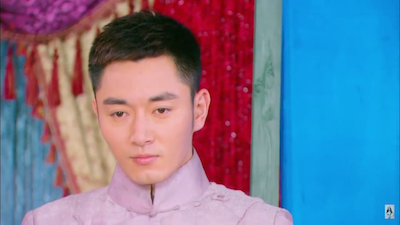 After causing all this drama and trouble, the annoying troublesome Cai Hong could only pout and mutter a pathetic “I’m sorry” – ugh. 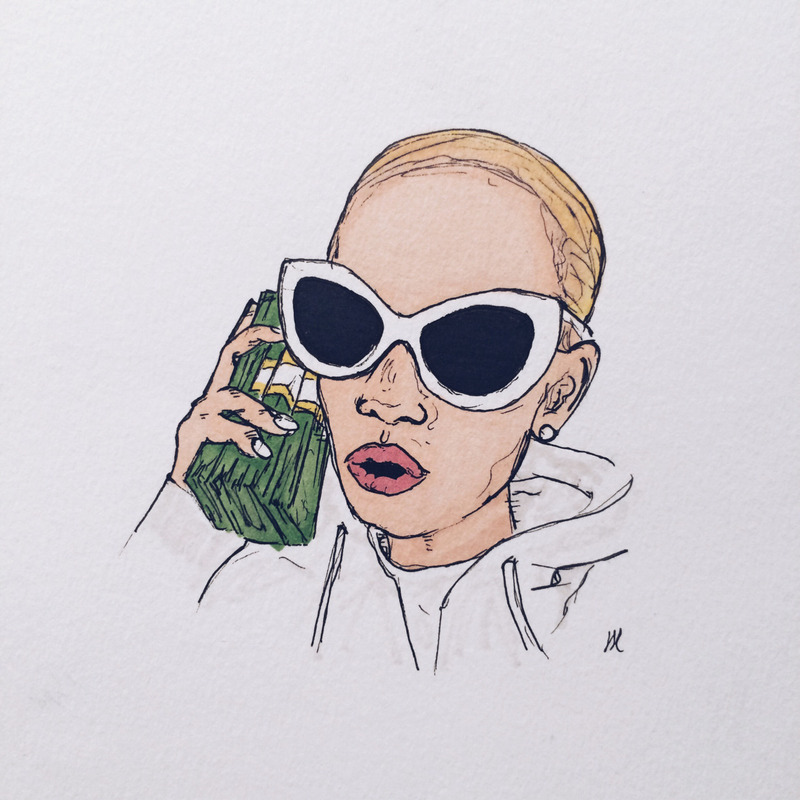 I feel like such a mean girl in high school or something, but I really cannot see what all male leads see in her – she’s so gullible and passive aggressive, and needs to be protected all the time. Anyone else think Zheng Shuangs acting is so stiff? She has the same facial expression to everything. Whether I shock, sad.. Happy… All look the same. Wonder if it’s because she had plastic surgery done her face looks stiff…..